FREMONT, Calif.--(BUSINESS WIRE)--Terafina Inc., a proactive omnichannel digital sales platform that drives guided client experiences to boost sales conversion, announced today the release of Terafina Tessellate, its new modern UI library built on Angular 7 for banks and credit unions. With consumers rapidly growing preference for digital interactions, financial institutions need to offer a simple, secure, and modern experience that can be easily and quickly adapted while seamlessly spanning channels (mobile/online, branch & call-center) and products across both consumer and commercial segments. According to Mckinsey & Company, “digital channels represent just 25 percent of sales (20 percent online, 5 percent mobile).” This suggests that a majority of sales are still driven by branch or call center contacts and demonstrates the importance and need for human interaction that blends with a customer’s digital journey. 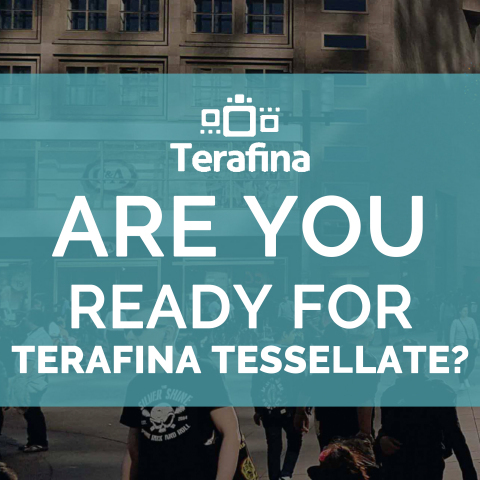 Terafina Tessellate’s resourceful UI library provides the best user experience across all channels. Financial institutions can rapidly craft and deploy experiences that match their customers’ journeys with comprehensive support for accessibility, internationalization and actionable, data driven insights. In a fast changing macroeconomic environment, banks and credit unions can greatly benefit from a partner like Terafina that can help them deliver the best digital experience to meet their customers’ changing financial needs and digital preferences. “It has always been our endeavor to deliver out of the box digital applications which can be extended by a large and readily available talent pool that is accessible to financial institutions of all sizes. For the banks and credit unions we serve, Tessellate levels the playing field with large financial institutions by making available an open, state of the art, well defined framework that offers the ability to quickly launch new experiences that address their customers’ evolving needs.” - Ashwin Goyal, President and COO Terafina Inc.
Terafina (www.terafinainc.com) provides omni-channel digital sales solutions to the banking and credit union markets. Terafina is based in Fremont, CA.